March 28 - Edited to add: Double duty post!! 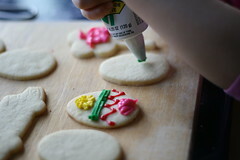 Check out Crazy Hip Blog Mamas Kitchen Cookin' Photo Friday. They sure do look like they're enjoying some beautiful cookies! 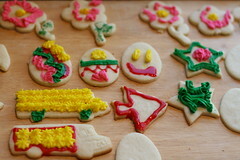 Easter cookies, a first I've seen in blog entries the past week. 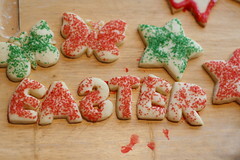 Must be real fun..the butterfly cookie cutter looks real pretty. 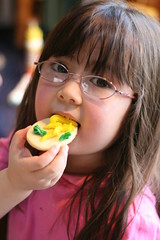 Yum...those cookies look good. I didn't even think of making cookies. I made fruit salad for easter to bring to my brother in-law's house.....gee...just think of how much more popular I would have been had I thought to make cookies! Though I doubt mine would have looked as pretty. Yum! 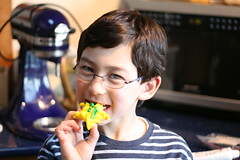 Those are some awesome-looking cookies - I hope they were as tasty as they looked! Yum! Looks like they had fun both making and consuming cookies. Happy WW! That? Looks like a ton of fun! Were they as good as they looked?